One of the last posts that I did before I went on my incredibly long sabbatical from blogging was commenting on my disgust with The Hobbit movie. At that time it was the first movie and I still mentioned that I preferred watching Jack Reacher with Tom Cruise rather than the slow reeled 1/3rd of my beloved childhood book. My recollection on that article is rather vague (it was still on NerdTrek.com) but I DO remember comparing it to a Hallmark movie. Two more movies later, my feelings of disgust have not changed. In fact, it’s become worse. I’m not going to rant and rave about how I’ve been a fan of the series for decades but it bears mentioning that I read them for the first time when I was about eleven. The Hobbit was a delight, a book given to me by a woman who at the time was a substitute parent who encouraged my love for fantasy rather than judging it. So, I was pretty invested in the series and very sceptical when the first Lord of the Rings movies came out. In those years however, despite my doubts, I wasn’t disappointed because they were fantastic. There was something truly magical about them, about the effort that was put into bringing to live such a massive work of fantasy. It felt real, it felt authentic. It felt daunting and spectacular. And it didn’t feel cheap. The Hobbit did. More to the point, The Hobbit felt as if it cheated me. I’ve been sort of badgered into watching the series by the same super human individual who managed to drag me to all Twilight movies. The first movie actually had me quite excited – that was until I heard they were going to make a trilogy out of it. I went back to my wee little book, looked at the pages and wondered how on earth they were going to extract almost 8 hours of material out of it. Turns out all they needed was cheap comedy, silly, plastic looking elves, hallmark like close ups (and CONSTANT close ups) and very slow, very dramatic statements that were delivered by a ten second pause before and after each delivery of the line. I don’t know what went wrong with The Hobbit’s cameras but it was a disaster in my eyes. 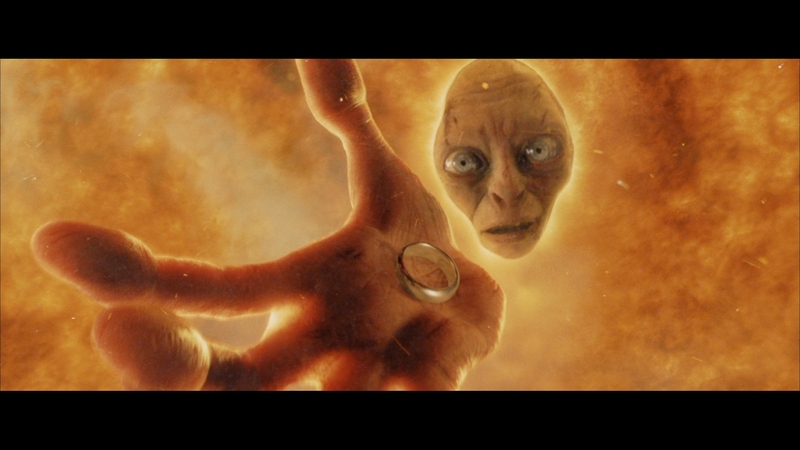 While looking at Bilbo’s pore ridden face throughout the movie I kept wishing that the camera would simply zoom out. Just… Show me more than the world an inch from Bilbo’s face. I like Ian McKellan but even I don’t feel the need to count Gandalf’s beard hairs. It felt cheap, it was frustrating and it was infuriatingly slow. As I sat there last night, watching the movie under protest with very little hope of it being good, I realised that it was a trap. It wasn’t even a well-executed trap. The movies had simply been made to trick myself and other fantasy loving fans out of our well earned money. The changes that they made to the story line like Legolas’s near superpower like ability to just save every moment of every day, was unnecessary. Yes, I liked seeing a ginger elf girl saving the day as much as anybody but did she forward the plot? No. Did the last movie have a plot? No. The Battle of the Five Armies was one long, slow, badly done fighting scene. And, because they refused to zoom away from the character’s facial hair, it was frustrating as well. Not even the 3D made up for it. I don’t know whether it’s just the fact that I need to wear the 3D glasses over my own, but I’ve never really seen much of a difference. It certainly doesn’t justify the overcharged price that we have to pay for the honour of shoving a plastic pair of glasses onto our faces. The Hobbit was completely the opposite of The Lord of The Rings. There was nothing spectacular about it and gave me less pleasure than the Classic Movie channel. Heck, I’ve had more fun watching B – rated movies. Or Xena Warrior Princess – at least they knew how to sometimes flaunt the scenery. It might’ve been a movie doomed to fail. The directors, writers, screen writers or who ever tried to lace a darkness into the pages of The Hobbit’s tale that was unnecessary. We know how the story ends, trying to tie up loose ends that wasn’t unravelled to begin with was a futile task. And, the cheap idiocy like Radagast the Brown’s persona made me nothing more than furious. The Istari was always meant to be majestic, to be frightening and powerful. A wizard being pulled along by a bunch of hare on a sleigh was only one step short of Ronald McDonald. Where I had respected Peter Jackson for renewing the love for JRR Tolkien’s series, I now want to put that same bird poo they laced into Radagast’s hair onto his toast for exploiting it. Because that’s what the Hobbit was. It was exploitation of fans of the series. It was an exploitation of those expecting the wonder of The Lord of the Rings. And I fell for it.